Are you a Game of Thrones fan? Do you enjoy food? If your answer is yes to either (or better yet, both) of these questions, then you’re in for a special treat. 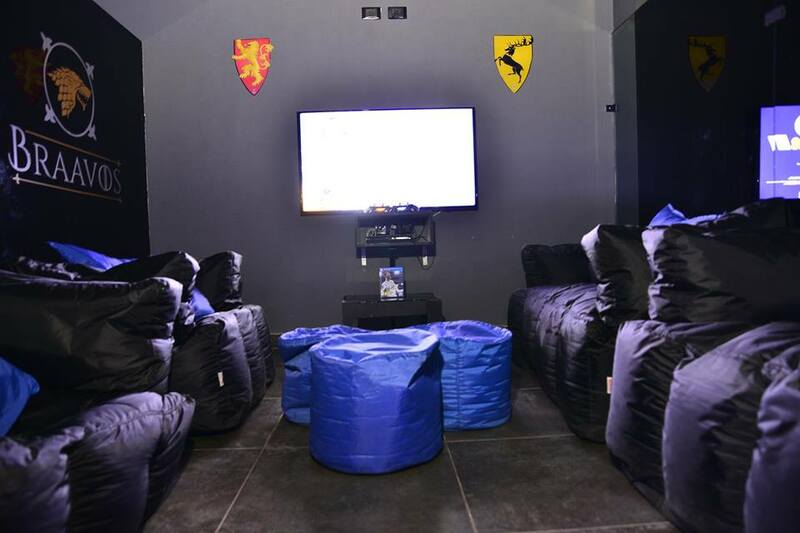 We introduce you to Braavos Lounge! A one-of-a-kind café and restaurant located in Maadi’s legendary street 9, right next to Dunkin’ Donuts. We visited the restaurant a few weeks ago, and frankly, it was so good that one of our staff members went there again with his family the following week for his birthday! So you’re probably wondering what was it that impressed him, and all of us, so much. Let’s start by appealing to the Game of Thrones demographic amongst our readers. The lounge’s theme is almost entirely based on the world-renowned series, starting with the menu items all the way up to the decorations plastered all over the place. On the menu, you can find a breakfast dish called Joffrey Baratheon, also known as the King of the Andals, or even a couple of burgers named after the brothers, Robert and Stannis. 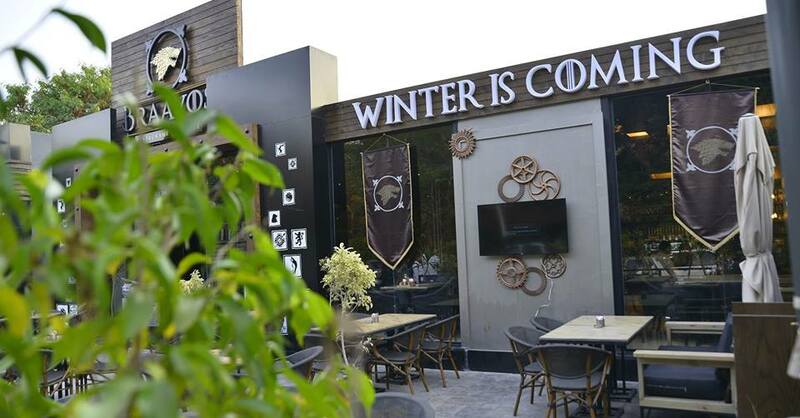 The cherry on top is the customised cardboard cut-outs of the Mother of Dragons, Khaleesi, and Lord Snow who welcome you at the gate as you take your first step to an amazing experience. Now we move on to the cuisine. We tried the Stannis and the Robert burgers for lunch (both 80 L.E.). The burgers differed slightly in each of their respective components, but they were both tied when it came to taste. The meat was savoury yet sweet and cooked to perfection. Suffice to say, it was an impeccable combination of explosive flavours. The sides included some French fries and tortilla chips, which were served with a sauce that was a bit too spicy for some of us, but overall delicious. We quenched our thirst with glasses of Ice Lemon Pink (45 L.E.) and Strawberry & Lemon Mint Smoothie (50 L.E.). Their flavours were a bit too strong for our liking, but not strong enough to stop us from going there again. Overall, Braavos Lounge is definitely a place to check out with your friends or family, but maybe focus on the main course section. Whatever your preference, you will probably find it somewhere on the list. We wish the management and staff the best of luck. Let’s end this review with an excerpt of the cryptic message from the series that is also displayed at the entrance of the lounge: “When the snows fall and the white winds blow, the lone wolf dies, but the pack survives” – Starks House. The burgers and the Game of Thrones theme.